A new update is now out for the PC version of Kingdom Come Deliverance, introducing several fixes to the game. The new update, update 1.4.2, introduces a fix for a major bug that caused the game to crash at various places. Other quests issues have also been fixed. Fixed issues: • A major bug that crashed the game at various places has been fixed. • Quests notably affected by this bug include Sport of kings, Pestilence, Questions and Answers. • Fixed issue with missing Erik in the quest called The Die is Cast. • Other minor bugfixes. Known issues: • [Rare] You can lock on a non-existing opponent. • [Rare] Attacking stops working. • [Rare] Random character spins while blocking. • Player with an equipped bow cannot be dismounted. Additionally, the team also talked today about the release of the 1.4 update on consoles, which will also include the fixes added to the game by today’s update. The team hopes to release the update this week. The 1.4 patch for consoles is still on its way! We wanted the patch to come to console players last week, so we are hoping for the release for the patch to come this week. 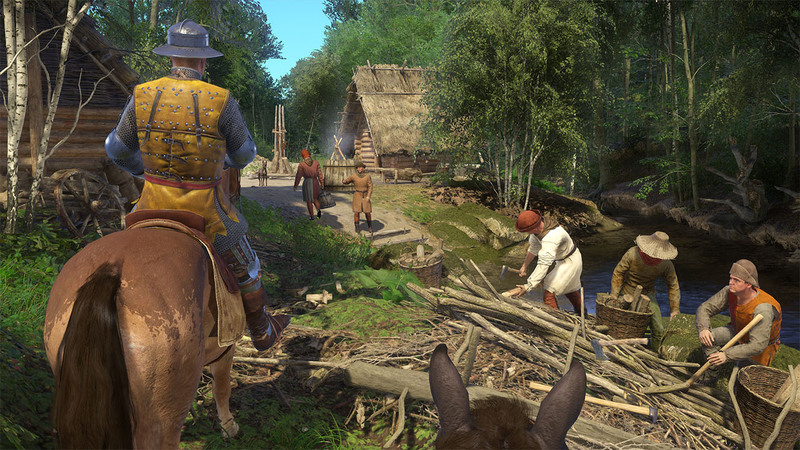 Kingdom Come Deliverance is now available on PC, PlayStation 4 and Xbox One in all regions.